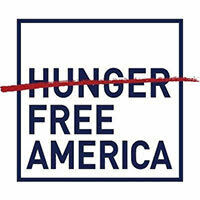 Hunger Free America, a national nonprofit group working to end hunger through citizen service and public policy initiatives, issued the following statement on Dec. 20, 2018. Sign up below to take action with Just Harvest during the upcoming required federal 60-day public comment period on this Trump proposal. “The new Trump Administration decision – which strips flexibility from states to provide nutrition assistance to people who are unemployed – is unworkable, hypocritical, cruel, and illegal. This proposal is unworkable because people who are hungry have a harder time finding work, and – since the Trump Administration is not devoting an extra penny to USDA for job training, job placement, or job creation – this new rule will only reduce employment. This proposal is hypocritical both because it violates the long-held GOP assertion that states know best how to solve problems and because it imposes additional work requirements on hungry people who receive only $1.40 per meal but imposes no work requirements on rural farm land owners and rural businesspeople who can receive millions of dollars in federal subsidies from USDA. This proposal is cruel because, just before Christmas and New Year’s, they are seeking to take food away from the most vulnerable Americans, thereby violating every religious and ethical tradition on the planet. This proposal is blatantly illegal because the Trump Administration is violating the clear intent of Congress. There is a strong chance this proposal will be challenged, and struck down, in the courts. Thus, this effort is base-assuaging grandstanding at its worst. Forty million Americans – roughly the combined populations of Texas and all of New England – still struggle against hunger. The U.S. is the only industrialized Western nation with such high levels of hunger, and the implementation of such a proposal will only exacerbate this disheartening, solvable problem. Once the proposed rule is published in the Federal Register for comment, I urge all Americans to express their dismay over this cruel change. We also note that today, President Trump, is slated to sign a Farm Bill that contains no cuts to SNAP, but neither does it include any improvements. Because ending hunger would lift us all, we believe any truly effective Farm Bill would slash hunger by significantly boosting SNAP benefits. Judged on that basis, the Farm Bill – which leaves in place a horrid hunger status quo nationwide – falls far short. Sign up to take action with Just Harvest to oppose expanding SNAP work requirements. Farm Bill victory in Congress for food stamps and farmers markets!